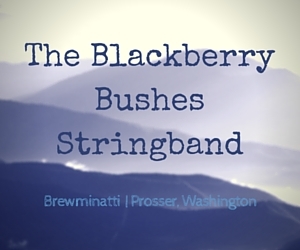 Found 83 blog entries about Prosser Washington. 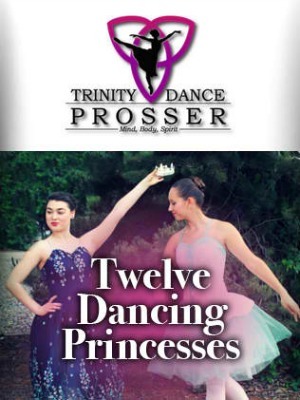 The Trinity Dance Prosser is proud to present The Twelve Dancing Princesses on June 24 at 7:00 p.m. and June 25 at 1:00 p.m. The Twelve Dancing Princesses will be held at The Capitol Theatre, 19 S 3rd St., Yakima, WA. For details, visit the Trinity Dance Prosser's website. Thanksgiving in Wine Country is happening this November with more than 50 Yakima Valley wineries debuting their new releases paired with Fall cuisine during the Thanksgiving holiday weekend. The event will run from November 27 to 29 from 10:00 in the morning until 5:00 in the afternoon. There is so much to be thankful for that is why Yakima Valley wineries open their doors following Thanksgiving to celebrate the season. Come sample their finest wines and carefully selected culinary pairings! Participating wineries are offering food and wine pairings in addition to new experiences during Thanksgiving in Wine Country. 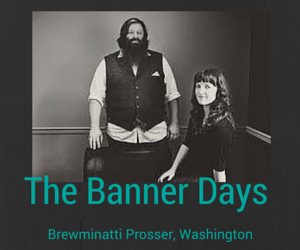 On Friday, November 6 The Banner Days will be performing their original, melodic, haunting songs favorably compared to The Civil Wars, Alison Krauss, The Swell Season and Robert Plant at the Brewminatti in Prosser, Washington at 7:00 in the evening. From the first time they played together, along with Beth’s husband/collaborator Aaron Fishburn, the chemistry has been powerful. The combination of Beth’s delicate, pure, and melodious voice and Bradford’s soulful, growling tone makes for a beautifully heart wrenching harmonious blend. Princess Theatre will be presenting Rocky Horror Picture Show on Friday, October 31 where you can Trick-or-treat adult style. There will be two showings: one will be 8:00 in the evening and the next at midnight. Pre-show party at 7:00 in the evening and 10:30 in the evening. This year will be the event's sixth annual party. There will be music, treats, trivia contest, a no-host bar with local wines and microbrews, and a “Time Warp Costume Contest” at 7:30 in the evening and 11:30 in the evening. 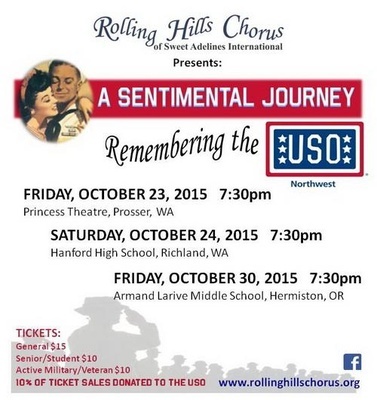 A Sentimental Journey, a Tribute to the USO will be shown on Friday, October 23 in Prosser (Princess Theatre); Saturday, October 24 in Richland (Hanford High School); and Friday, October 30 in Hermiston (Armand Larive Middle School). 10% of the ticket sales will be donated to the United Service Organization (USO). Rolling Hills Chorus of Sweet Adelines International‘s annual show will take you back to the 1940s, taking place in a USO club, where folks gathered for fun and entertainment during World War II. 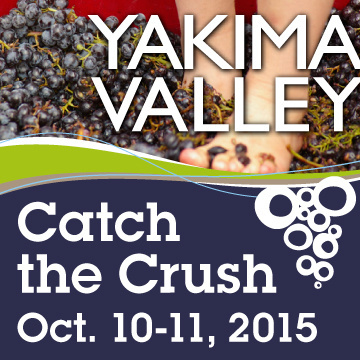 On Saturday and Sunday October 10 and 11 starting at 10:00 in the morning until 5:00 in the afternoon Yakima Valley Wineries is going to celebrate their harvest at the Annual Catch the Crush event happening at 14 Hands Winery located in 660 Frontier Road Prosser, Washington. Every winery will offer its own celebratory events including grape stomps, harvest and crush activities, free - run juice, hors d’oeuvres, tours and of course wine tasting with live performance by Knutzen Brothers (12:00 noon to 4:00 in the afternoon). 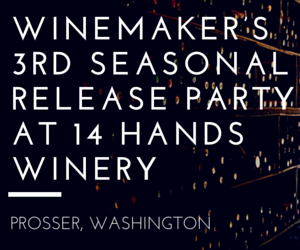 On Friday, October 9 from 6:00 until 9:00 in the evening enjoy a night with all your favorite local wineries and live performance of Highway 12 at the Walter Clore Wine and Culinary Center in Prosser, Washington. This will be a great way to relax and sample wines from a variety of regional wineries. 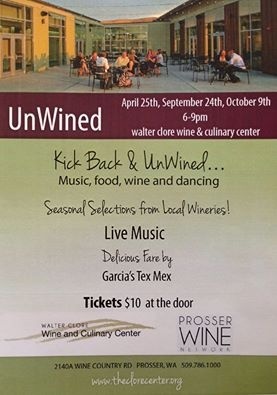 UnWined at the Clore Center presents all your favorite local wineries. Music, wine, food, and friends make this the place to be! On Sunday October 4 at 6:00 in the evening enjoy a multi-course wine and sumptuous dinner experience with Milbrandt Vineyard owner Butch Milbrandt and guest Chef Frank Magana of the distinguished Falls Terrace Restaurant in Olympia. 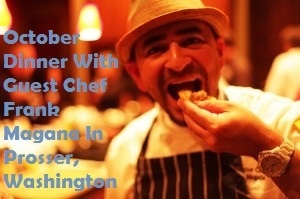 Chef Frank Magana is a seasoned chef and experienced Restaurateur, he explored numerous culinary avenues in Washington State over the last 20 years. Chef Frank has received recognitions from both Washington Winery Commission and Washington Association of Wine Grape Growers for his exemplary contributions to Washington’s wine industry. Milbrandt Vineyard is locate at 508 Cabernet Court Prosser, Washington. The event will start at 6:00 in the evening.